Tarot cards provide a spiritual and valuable insight into your future. 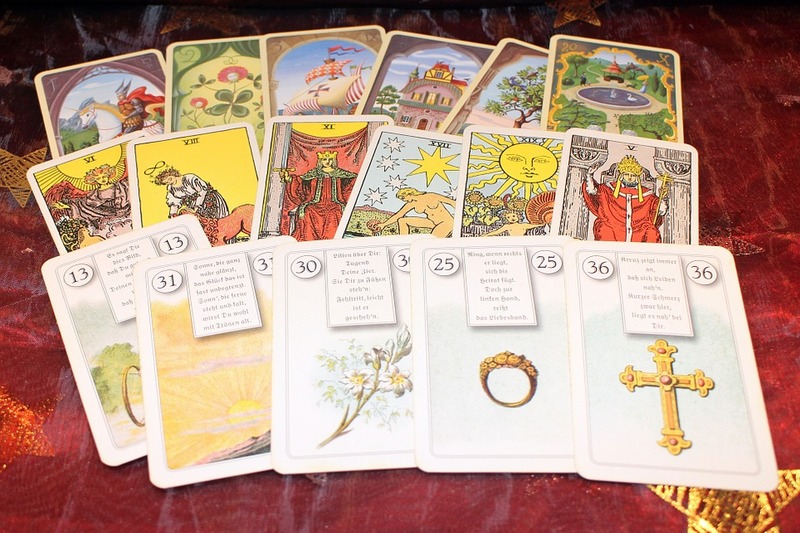 Our gifted tarot card readers use the cards because of the dependable results they provide. Before seeking a reading that involves tarot cards, it’s important to understand that their meanings aren’t complete. “Experienced clairvoyants are capable of channelling your energy through tarot cards. No tarot card is set in stone and no tarot card has one singular meaning. Our guidance allows you to make the right choices for your future.” Julie, an experienced clairvoyant. Tarot cards have the ability to understand and open up many avenues of your life. They’re impressive, reliable capabilities leave them open to interpretation but clairvoyant.co can help give you a better understanding. A typical tarot card deck has 78 cards. 56 of these cards are split into four suits and are defined as Minor Arcana cards. The remaining 22 are the Major Arcana Tarot cards. The major arcana cards exist to give you an overview of the bigger picture of your life. “Death is a commonly misunderstood major arcana card. If it appears in your tarot card reading, it doesn’t necessarily mean physical death, it can symbolise the end but it’s a reminder that an ending is a chance for a new beginning.” Christine, a charismatic clairvoyant. Major arcana cards have different meanings and interpretations based on the answers and guidance you seek. By booking to see one of our gifted tarot card readers, they’ll be able to provide you clarity with relationships, careers and family affairs. At clairvoyant.co, our aim is to help you connect to the spiritual community. We’re here to offer you some of the most experienced, talented and most-sought out readers in the UK. Discover the tarot card reader that you believe is right for you. Start your spiritual journey today with a tarot reading.